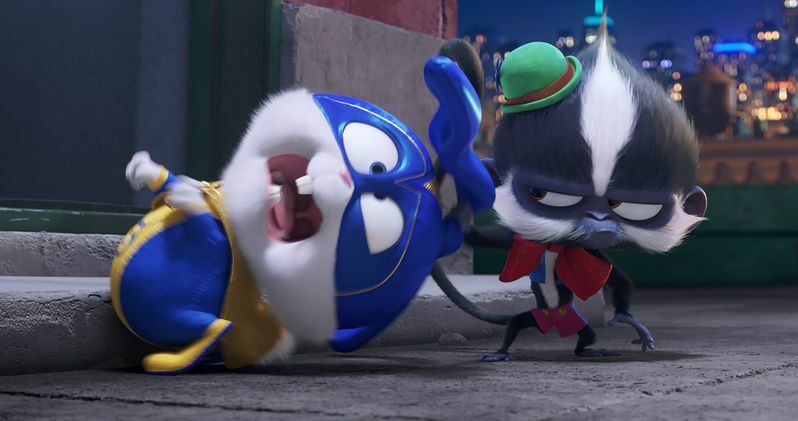 Illumination's tenth feature, The Secret Life of Pets 2, is the highly anticipated sequel to the 2016 comedic blockbuster that had the biggest opening weekend ever for an original film, animated or otherwise. Packed with Illumination's signature irreverence and subversive humor, this new chapter explores the emotional lives of our pets, the deep bond between them and the families that love them, and answers the question that has long intrigued every pet owner: What are your pets really doing when you're not at home? The Secret Life of Pets 2 is produced by Illumination founder and CEO Chris Meledandri and his longtime collaborator Janet Healy, the visionary team behind Dr. Seuss' The Grinch and the Despicable Me and Minions franchise, and is written by returning Pets screenwriter Brian Lynch. The film is directed by returning filmmaker Chris Renaud, who also directed Illumination's Despicable Me series and Dr. Seuss' The Lorax. This all comes from the official website www.thesecretlifeofpets.com.